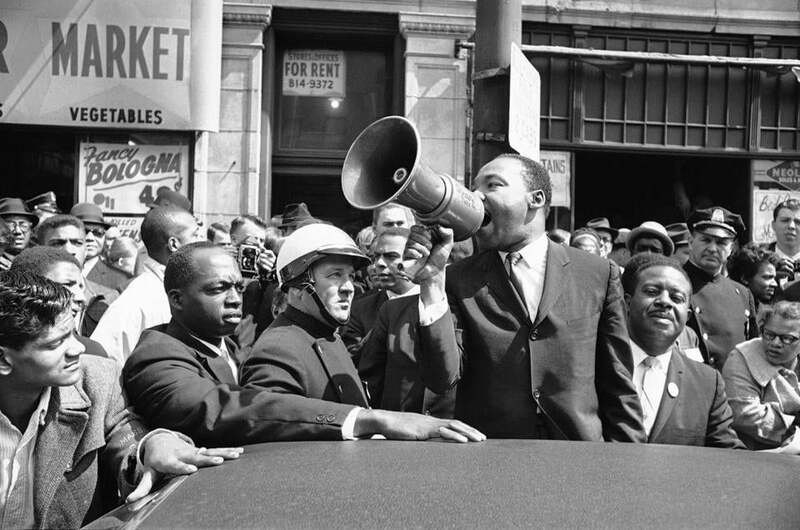 Martin Luther King Jr. addressed a crowd in Roxbury on April 22, 1965. It was most surely an unforgettable day for those who were there. But in the half-century that has passed, we have often struggled as a city to live by Dr. King’s “fierce urgency of now.” The time is long overdue for a major memorial to Dr. King and Coretta Scott King, to honor their profound Boston legacy and to call us every day to work, with each other, for racial equality in our city. Last September, in partnership with Mayor Martin J. Walsh and the City of Boston, we announced a plan to create just such a world-class King memorial. MLK Boston is guided by leaders like the Rev. Liz Walker of Roxbury Presbyterian Church, art experts like Barry Gaither of the Museum of the National Center of Afro-American Artists, and historians like Brandon Terry, an MLK scholar from Harvard University. Robin Powell Mandjes serves as the organization’s executive director. But it is, at heart, the work of an entire community. In 14 meetings over the past several months, we met neighbors in Roxbury, Dorchester, the South End, City Hall, the Boston Public Library, Chinatown, and South Boston. We found a deep well of knowledge and passion for the Kings’ work, and a desire to build a modern extension of it in Boston today. At Prince Hall in Dorchester, over 100 people came forward with questions and ideas about how we could build a living memorial that will lead to real change. The enduring radicalism of Martin Luther King Jr. 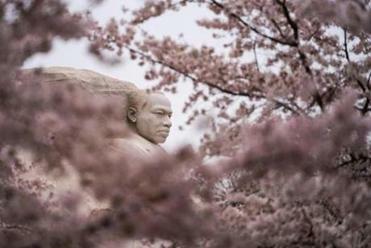 The greatest tribute to MLK is how his devotion to social justice has inspired generations of activists, especially those who have found their voices in this tumultuous era. View: Remembering Martin Luther King Jr.
Based on these meetings, we have expanded the scope of our project to consist of three interrelated components. We have begun conversations about building an outdoor memorial on Boston Common, where, in 1965, Dr. King called Boston to live by its highest ideals. The Common is the oldest public park in America, with a still-vibrant 400-year-old tradition of civic gatherings. Our memorial will be a place for public conversations on how to advance social justice in our city today. It will join sites like the African Meeting House and the Robert Gould Shaw and the Massachusetts 54th Regiment Memorial in elevating black history to its rightful prominence in the heart of our city. And it will reflect Coretta Scott King’s advocacy for the arts and the role of women in human rights activism. In addition, we will build a high-tech, immersive educational experience in Roxbury’s Dudley Square, with local community partners. This learning center will teach visitors about the Kings’ years in Boston and their work around the world. We hope to inspire and educate current and future students to lead change in our city and beyond. Finally, we will raise an endowment in partnership with Roxbury’s Twelfth Baptist Church to continue King-related programming in the city. Dr. King worshipped at Twelfth Baptist when he lived in Boston, and he often went back there in the years that followed. It will remain at the heart of his living legacy. We are moving forward in the project. In February, we received 126 applications from local and international artists. This summer, five finalists will each be paid a $10,000 stipend to develop renderings for their proposed memorials. In September, we will display their proposals in the Boston Public Library for public review. A winner will be announced in October, after which we will move into the phases of detailed design and eventually construction. In the meantime, we are raising money. We still have a long way to go to fund the kind of world-class living memorial the King legacy and vision deserves. Thus far, the Lewis Family Foundation and I have raised $2 million of our $5 million budget, and the Boston Foundation is helping us raise more. We ask every Bostonian to be a part of this effort, as we want this to be a memorial for everyone in our city. King’s vision of a beloved community is based on the notion of all humanity’s interdependence — that we all belong and have a responsibility to one another. That is the vision of Boston that he brought to life on the Common in 1965. The MLK Boston Memorial project offers the entire city an opportunity to bring that vision to life by creating this memorial and building on the Kings’ legacy together. Please visit mlkboston.org to learn more. Paul English is a philanthropist and the founder of several software companies, including Lola and Kayak.